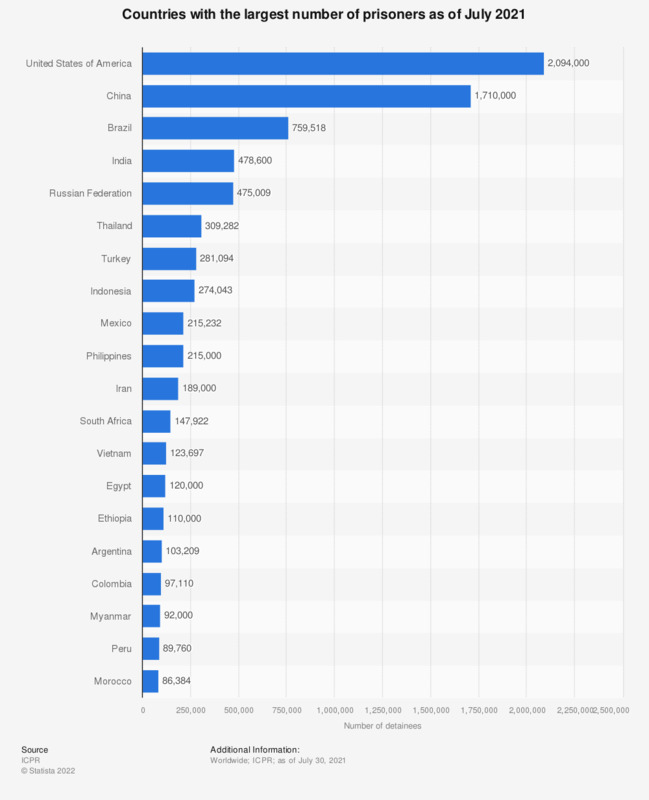 The statistics show the countries with the most prisoners as of July 2018. The United States had the largest number of prisoners worldwide with about 2.12 million people in prison. No release date is provided by the source. The data shown here is the date of access.